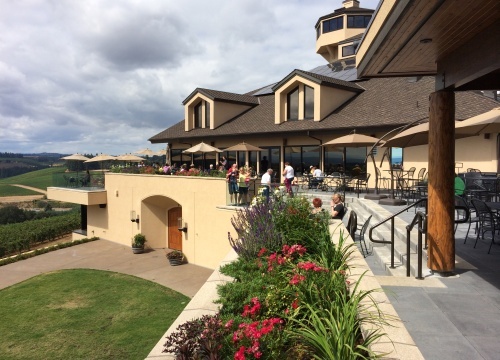 A cellar addition and new tasting terrace was the impetus for coordinating with Nathan Good Architects on this scenic project near Salem. 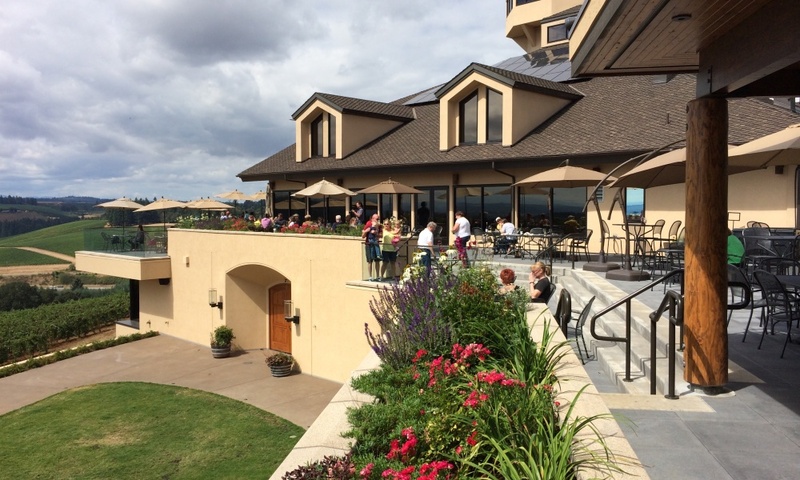 The building had Tuscan influences, but the owners wanted to bring a Pacific Northwest feel and consider drought tolerance in the plant palette. 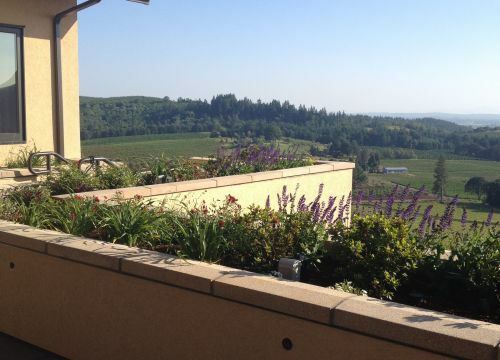 The winery has LIVE and Salmon Safe certifications, so plants had to be naturally pest-resistant as well. The windy site and presence of deer and elk steered the plant selection, which was dominated by various shades of wine red and burgundy. The great lawn was shaped to reflect the curve of a new retaining wall and sized to house wedding parties and the like. 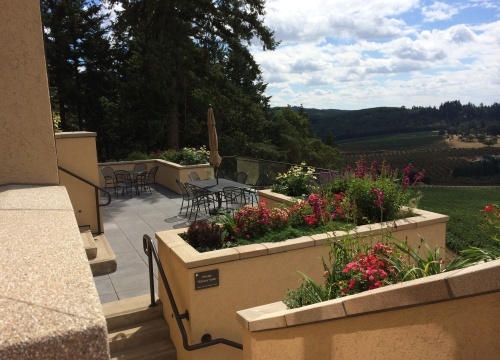 Plant beds worked to soften the building edges, respond to the architecture, connect outdoor seating and dining to adjacent parking, and leave open views to the surrounding vineyard and hillside views. 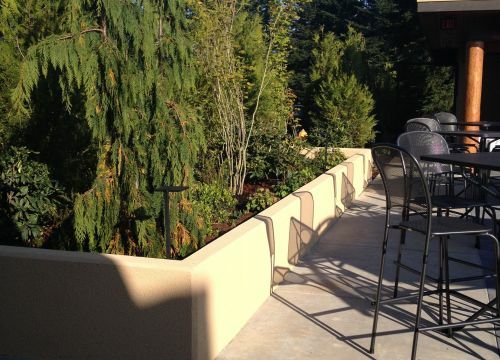 LED landscape lights add drama to the building facade and extend evening patio useage with subtle style.